Tangibl professionals have decades of experience in their specialties and a wealth of knowledge at their disposal to help you make better decisions. Mark Brozina is a Principal and President of Tangibl Group. Mr. Brozina’s work involves development, management, engineering and completion of electric power generation, transmission and distribution projects. He is responsible for business development and planning activities and profit & loss of all Tangibl professional services provided to utilities, independent power producers, rates/depreciation and project development clients. Mr. Brozina holds a Bachelor of Science in Mechanical Engineering from Cornell University, a Master of Business Administration degree from Drexel University. He is a registered professional engineer in New Jersey. Donald J. Clayton is a Principal and Chief Financial Officer at Tangibl Group. In this position, he oversees Tangibl’s rate and depreciation consulting practice. Mr. Clayton has sponsored studies and/or testimony related to cost of service, cost of capital, depreciation, working capital, valuation and other financial studies for electric, gas, water, wastewater and railroad companies before regulators in 11 states, the Federal Energy Regulatory Commission, the Surface Transportation Board and the Rural Utilities Service. Mr. Clayton holds Bachelor of Science and Master of Business Administration degrees from Rensselaer Polytechnic Institute. He is a registered professional engineer in Pennsylvania, a Chartered Financial Analyst, and a Certified Depreciation Professional. Harry Hackman is Manager of Engineering at Tangibl Group. In this position he is responsible for engineering of utility and industrial high-voltage projects. Mr. Hackman has over 40 years’ experience in the engineering and design of electric utility substations and facilities. He has extensive experience in the writing of specifications, review and evaluation of proposals, and supervision of the design and construction of substations. 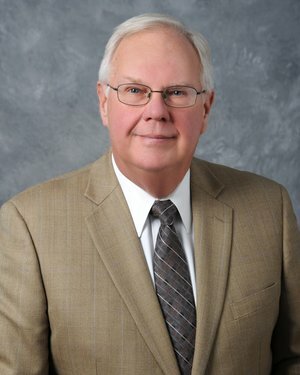 Mr. Hackman has been an active participant in industry committees, including leadership of working groups at the Edison Electric Institute and membership in stakeholder groups at PJM Interconnection, LLC. Mr. Hackman holds a Bachelor of Science degree in Electrical Engineering from Grove City College. He is a registered professional engineer in the Commonwealth of Pennsylvania. Thomas Piascik is Senior Project Manager at Tangibl Group. In this position, he is responsible for power system planning and analysis for a broad array of clients including electric utilities as well as new power generation and energy storage development projects. Mr. Piascik has significant experience with competitive markets and his network analyses have created value for market participants. Mr. Piascik has over forty years’ experience in transmission planning and operations, including advanced knowledge of network and market simulation tools and analysis. He has been a key member of project development teams, with particular expertise in economic justification, technical analysis, contract negotiations, federal regulatory filings, NERC and Reliability First Corporation (RFC) standards development, and is experienced with operations and procedures of RTOs and ISOs. Mr. Piascik holds a Bachelor of Science degree in Electrical Engineering from the Newark College of Engineering, and a Master of Electric Power Engineering from Rensselaer Polytechnic Institute. Ken Foladare is Director of RTO and Regulatory Affairs for Tangibl Group. In this position he is responsible for project management of power generation and energy storage development projects. Mr. Foladare has significant project management, finance and M&A experience in the energy/power industry. In addition to RTO relations, his areas of expertise include strategic and corporate planning, business planning and analysis, financial modeling, project and corporate finance, business development, and raising capital. Prior to Tangibl, Mr. Foladare was the business development lead for Chinook Energy, a proprietary waste-to-energy technology, with projects in Europe and North America. Prior to Chinook Energy, Mr. Foladare held various management and analytical positions at NRG Energy, Avaya, Exelon, Air Products & Chemicals, and the Federal Reserve Board. Mr. Foladare holds a Bachelor of Arts degree in Economics from the University of Virginia, and a Master of Business Administration degree with concentrations in Finance, Strategy and International Business from the Carnegie Mellon Tepper School of Business. Wade Horigan is a Principal and Manager of Business Development for Tangibl Group. In this position, he is responsible for project development of power generation and energy development projects and the marketing of Tangibl’s rates and depreciation practice. He prepares and defends cost of service, cost of capital, depreciation, working capital, valuation and other financial studies for electric, gas, water, wastewater and railroad companies before state and federal regulators. Additionally, Mr. Horigan has over 10 years in project management experience that covers a wide range of functional areas, including utility rate case management and support, financial analysis related to industrial electric generation and pricing, software design and implementation and handling complex purchasing transactions for Fortune 1000 companies. Mr. Horigan has been awarded the professional designation Certified Rate of Return Analyst (CRRA) by the Society of Utility and Regulatory Financial Analysts (SURFA). He also holds the Certified Depreciation Professional (CDP) designation from the Society of Depreciation Professionals and served on the SDP board for two years. Mr. Horigan holds Bachelors of Science degrees in Business Management and Economics from the Pennsylvania State University.